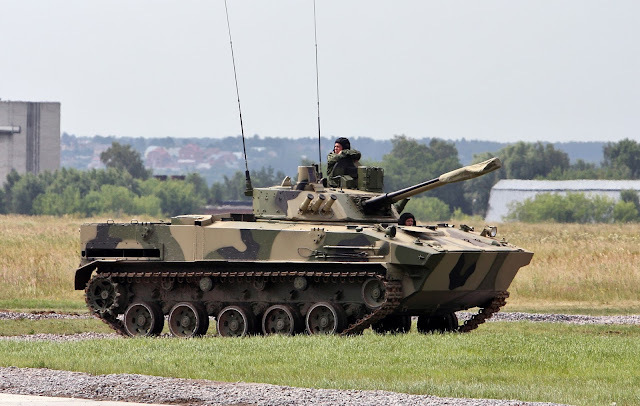 The light weight tracked IFV:s of the BMD-series have been the mainstay of the Russian airborne forces, the VDV, for decades. Several new BMD-variants are currently under development. But the vehicle that is going to be introduced to service first is breaking the pattern. 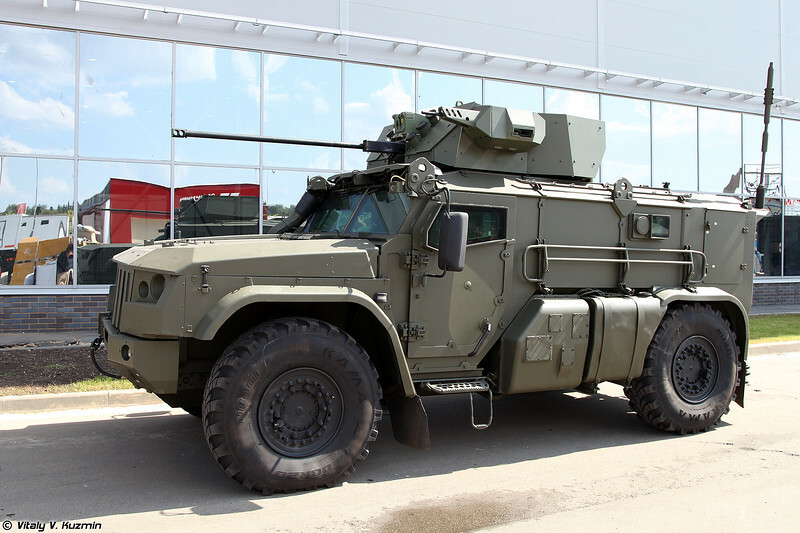 The K-4386 Typhoon-VDV is a wheeled 4x4 armored car, that can be armed with a variety of weapon systems. The base model is a formidable IFV that will have a remote-controlled turret with a 30 mm 2A42 automatic cannon and a coaxial 7.62mm PKT machine gun. But what really sets the VDV variant apart from most of the other MRAP:s is its ability to be parachuted from Russian transport aircraft. The Typhoon “family” of Russian mine resistant vehicles has been adopted by the various military branches and security services in Russia. 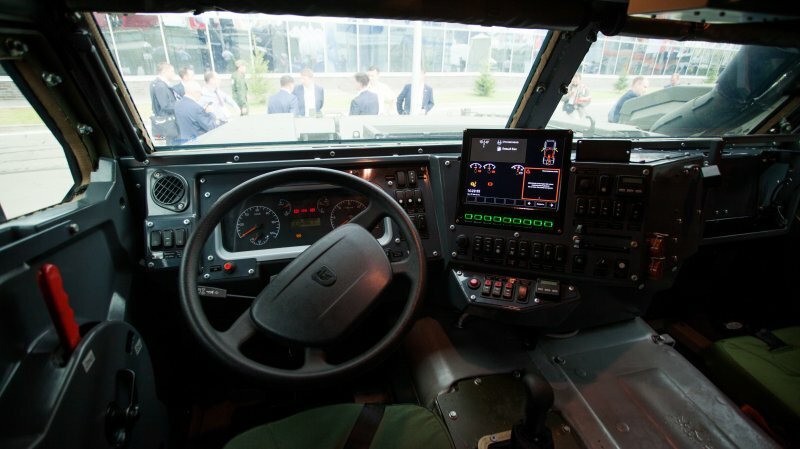 The vehicles are manufactured by both KamAZ and Ural factories. Their external appearances vary from a truck-like KamAZ-63968 6x6 to a typical 6x6 MRAP looking KamAZ-63969. Despite the visual differences the vehicles share some commonality in their powerline and equipment. They are supposed to streamline the maintenance and spare part logistics of the Russian forces, but the vast amount of legacy vehicles still in service will be causing a real headache for the logisticians in Russian Armed Forces for many more years. The obligatory oddball of the Typhoon family is the BPDM Typhoon-M, that isn’t related to the other vehicles in an any meaningful way. It’s a security focused variant of the venerable BTR-80. It’s most likely named Typhoon just for marketing purposes. As the VDV is also procuring more BMD-4M and BTR-MDM Rakushkas as well as modernizing the BMD-2 fleet,we can deduct that Russia still sees the VDV air assault and paratroop formations as a mechanized force and the introduction of the Typhoon-VDV isn’t a signal of a major doctrinal change. The Typhoon-VDV brings a host of new capabilities to the Russian paratroopers. In an low intensity conflict or a security operation the 4x4 wheeled vehicle is a better choice than the low-profile tracked BMD:s The. lack of a suitable patrol MRAP has certainly been a factor why the Syrian operation has been handled without a major VDV presence. In an all-out war scenario the Typhoon-VDV offers better strategic mobility both before and after an airdrop. While it’s not a effective as a combat vehicle than the tracked IFV:s it’s more than capable of dealing with most western light/motorized infantry formations. 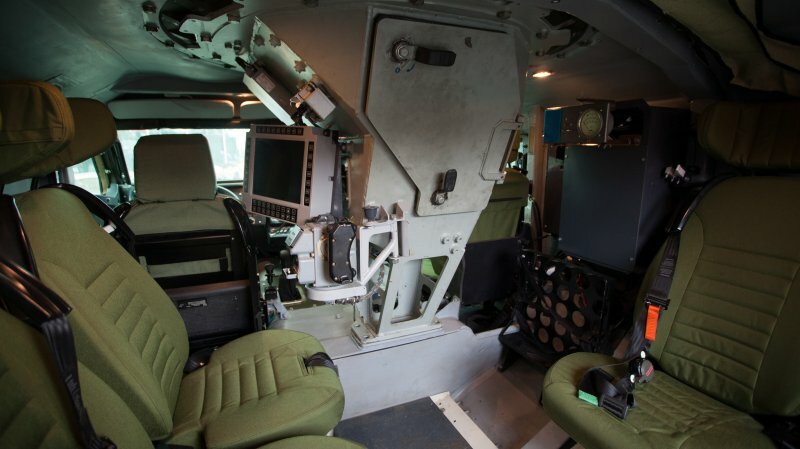 The greatest benefit the Typhoon offers over the older tracked vehicles is the size of the passenger compartment. The BMP-series were apparently designed to be manned by Siberian dwarfs and the BMD:s offer no protection from the elements. Naturally a mass produced wheeled vehicle is also a cost-effective way to expand the VDV:s motorized forces. But at the moment there is no solid information if the Typhoon will replace older vehicles or will it be used to equip entirely new formations.